Offering a wide range of Molded Tee to our clients that are manufactured using optimum quality raw material with the help of modern machineries according to the international quality standards. These Fittings are widely acclaimed by our clients for longer shelf life, superior quality and excellent performance. We also have a facility of customization of products as per the specifications laid down by the customers. We fittings are availed to the customers in leading market prices. 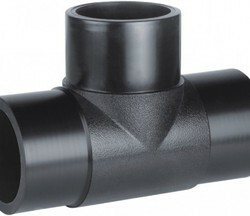 We have been able to offer a range of HDPE Molded Tees. The offered molded tees are widely utilized in cement & construction industries and mills & distilleries. 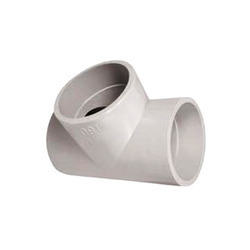 We are offering Molded Pipe Tee to our clients.